Think reliability, think Mixtech EGM. batteries, the MIXTECH EGM range is truly a game-changer. Mixtech EFB batteries incorporate 360° acid mixing technology with the latest Enhanced Flooded Battery (EFB) breakthroughs in lead alloys and unique carbon additives to significantly improve dynamic charge acceptance and cycle life. Think reliability, think MIXTECH EGM. 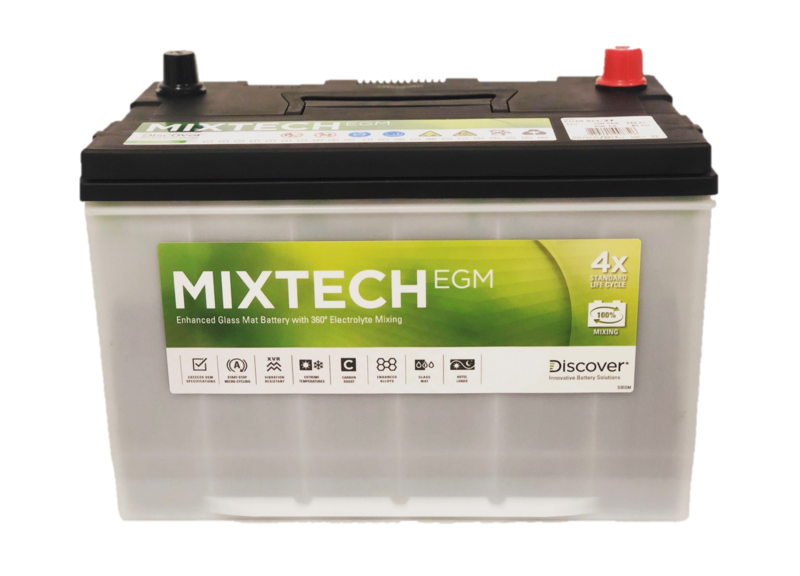 With up to 4x the cycle life of comparable conventional batteries, the MIXTECH EGM range is truly a game-changer.